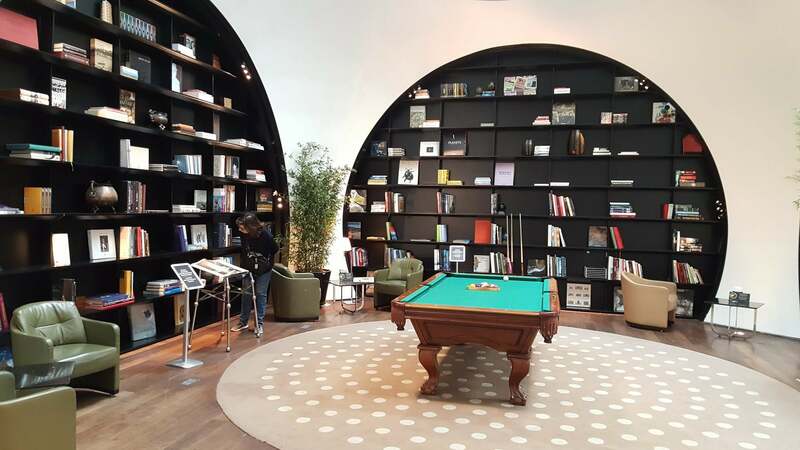 By far the best airport lounge I’ve ever experienced has been the Turkish CIP Lounge in Istanbul. It’s a bit trickier to enter than most lounges we talk about. You can’t access the area with a lounge membership like Priority Pass. You can’t even buy day passes. I’ll give you a quick review, and show you how you can enter the lounge. 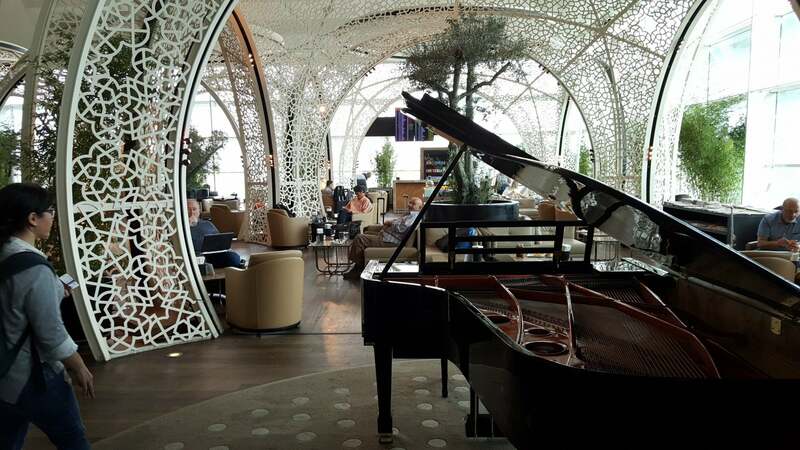 Somewhere between gate 219 and 220 in the Istanbul international terminal is a 64,000 square foot mammoth of a lounge. It’s so exclusive that Google Street View stops at the door. At the entrance are glass turnstiles preventing you from entering. You’ll need to hand your Business Class ticket to a lounge agent, who will scan it at the desk which opens the gate. Immediately to the left of the entrance is a neat graphic of a Turkish Airlines plane, and a library of sorts with big comfy chairs. There’s also a pool table. 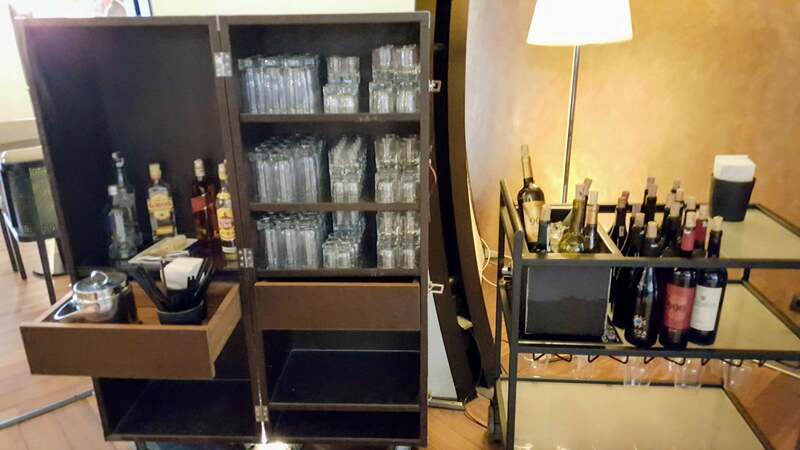 Because the lounge is so big, there are rows and rows of glass lockers to store your bags while you’re inside. You program the keypad and shut the door. The glass makes it easy to find your stuff again. The lounge stretches forever, and in some areas gives a cathedral impression. It really is so large with paths in every direction that you very well could get lost for a minute or two. Every once in a while you’ll find a cubby hole to the side with fun activities. There is a golf simulator, video games, even a movie theater with a popcorn machine. You can’t swing a dead cat without knocking over a bottle of alcohol. 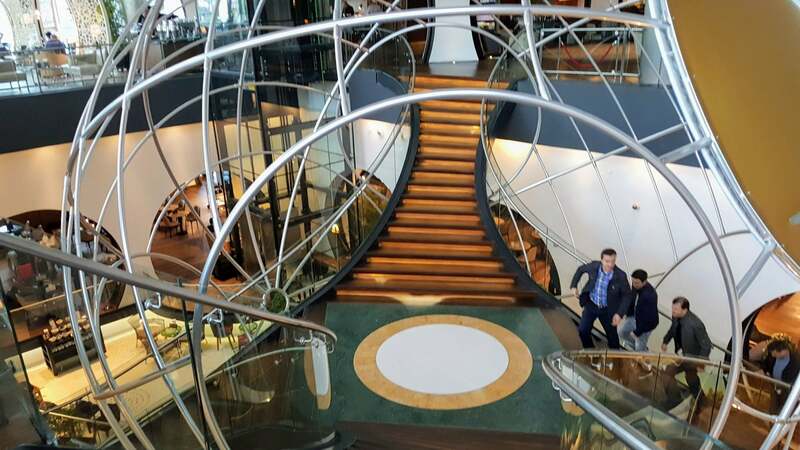 Walking into the main area of the lounge is a grand piano, more bars, plenty of seating, and walls of windows with fun views of takeoffs and landings. 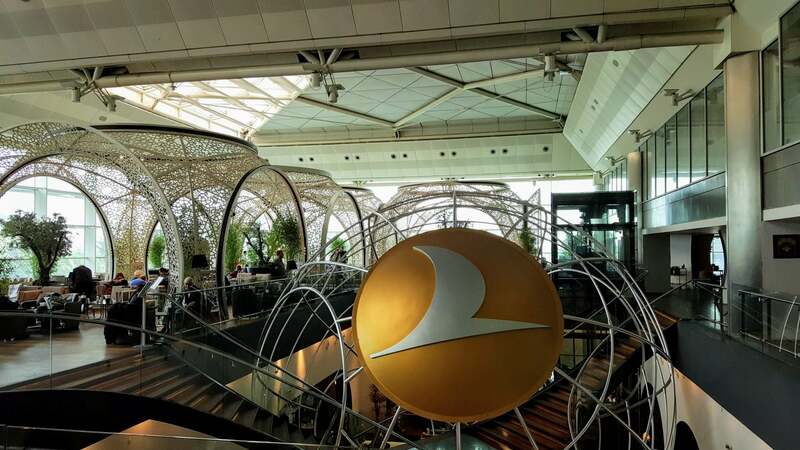 In the middle of the room is a collection of staircases that join through a spherical metal design of the Turkish Airlines logo. Downstairs are a number of different eateries with lines of chefs making hot meals. There are standalone rollers with fresh pita, lots of traditional Turkish food, innumerable dessert plates, etc. My favorite area was the breakfast bar with yogurt and a honeycomb you carve yourself. 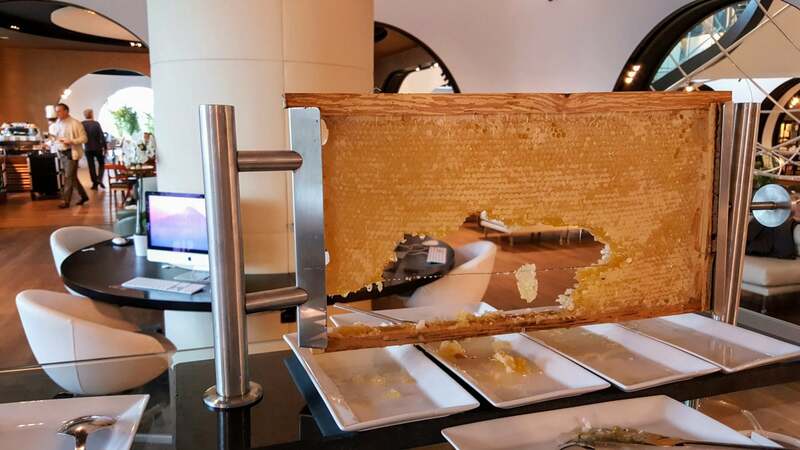 I’ve never eaten honey this way but it was very novel and delicious. The bathrooms were also stunning. Marble EVERYTHING. Even the automatic bathroom door was heavy thick marble. There were plenty of other amenities in the lounge, like showers and private rooms with beds. I used both, but didn’t snap any pictures. The private rooms are only for passengers who have stopovers of 4+ hours. 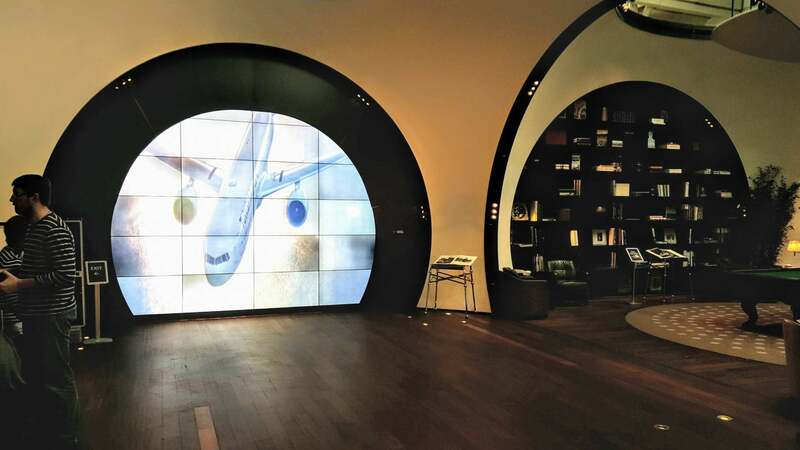 Who’s Allowed Into the Turkish Airlines Lounge? 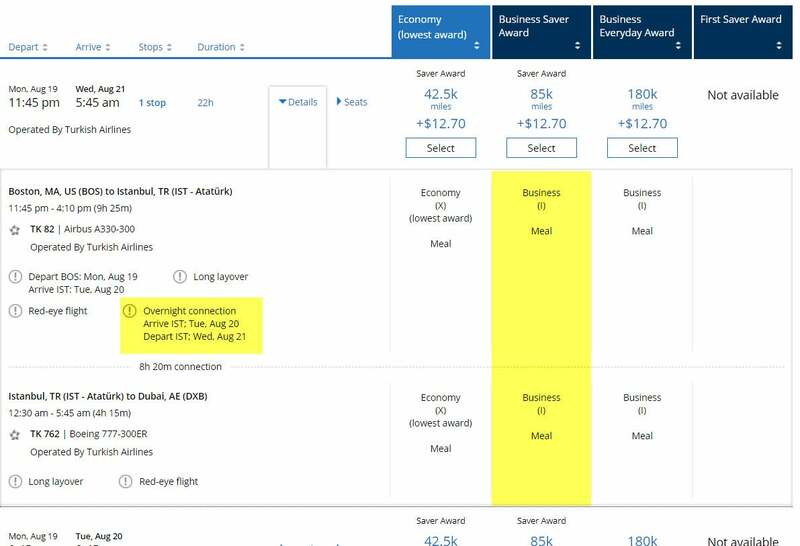 For example, you can use 85,000 United Airlines miles to book a Business Class flight on Turkish Airlines to the Middle East through the United Airlines website. Or you can fly to Europe on Turkish Airlines for only 70,000 United Airlines miles one-way in Business Class. United Airlines will clearly state which airline partner you’ll be flying when it displays your flight search results. On a flight between Boston and Dubai, you’ll see several different partners listed. 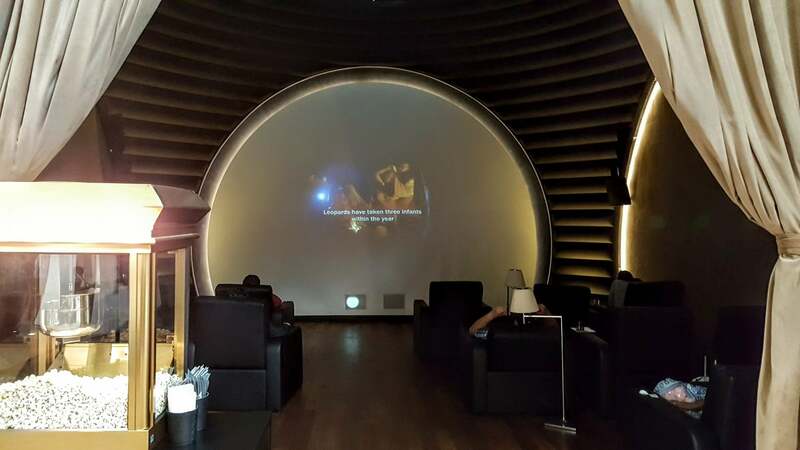 If you want to try out the Turkish Airlines lounge, choose the flight operated by Turkish Airlines. You can click “Details” to see what exactly you can expect from the flight. In the flight below, you’re flying Business Class (mandatory to enter the lounge), and you’ve got a long connection in Istanbul (8 hours and 20 minutes). 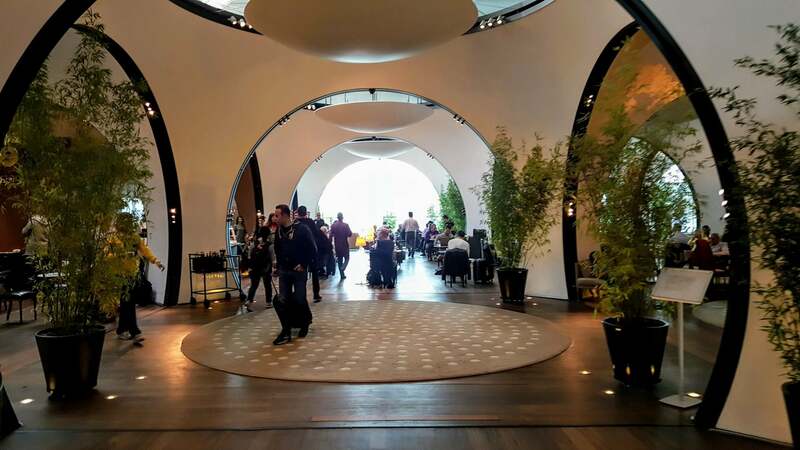 Let me know if you’ve been to the Turkish Airlines lounge! Or if you’ve been to an even BETTER lounge along your travels. Not sure what the point is of reviewing this now given it won’t be valid in like a month. There are PLENTY of reviews of this old lounge by now. I think, the strongest part of this article is not well articulated. 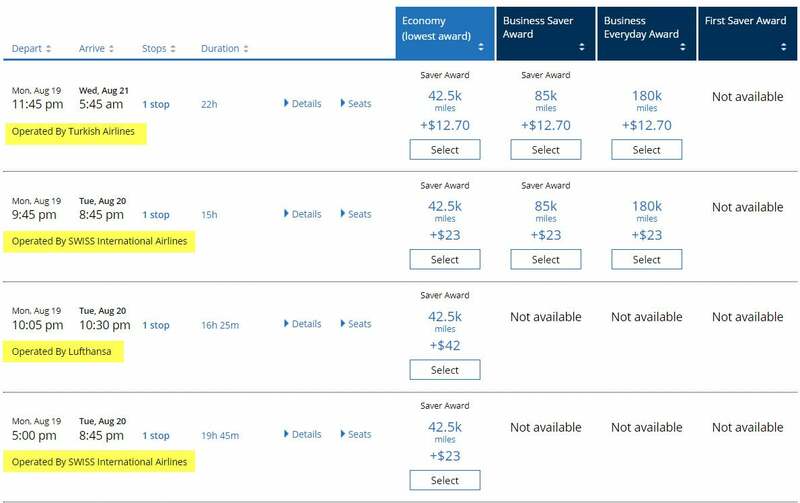 If you look at the screen shot provided by the author, here you may be booking THY thru United website (I give A+ to United website), than (usually) difference between Economy Saver and Business Saver is about double (x2) the points. Where as if you try to buy in currency, the difference is usually 4+ to 6 times ($1,200 vs $5,000). So if you can any which way (and there are many varied ways to get points), than it is much cheaper to fly using points than $$$. A few months back I flew and THY business and United new Polaris business long-haul on same return flight-segments. Though Polaris is new and United service has improved (due to pressure from the foreign airlines), THY business was area was dated, but a little roomier and food was a little better. The real treat for me on that (Narita-SFO) United flight was, that the head united head person to take care of in the Polaris was an Indian, living in Hong Kong. God bless him, when he saw how old and tired I was he bought me a cup of the tea, the way they make in India-pak subcontinent. It was so refreshing, when I woke up next morning, I could nor resist-but request one more. Thanks you sir, and you and United made my day. By the way, I think United Explorer card is best and you get more bang for your points thru United on foreign airlines, as compared to domestic US travel. 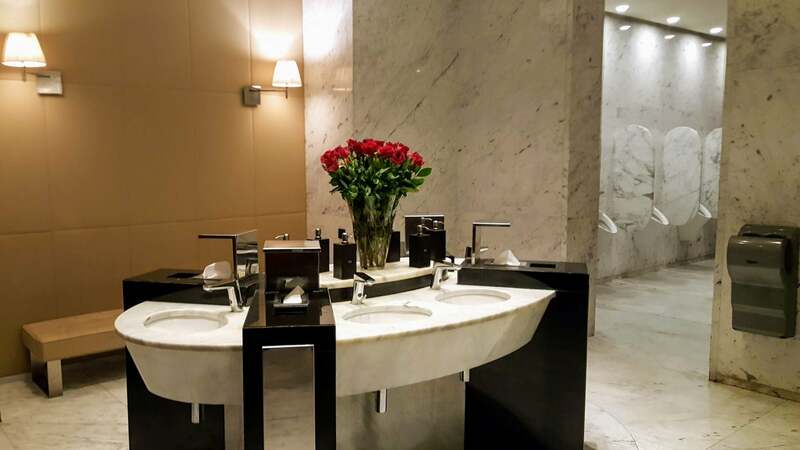 Somebody mentioned they did not find the showers in THY IST lounge….that is the best part of visiting the lounge. Actually they are right there in the main area, to the left. The trick is to put your name before doing anything else, as there might a 30-60 minutes until your turn comes. 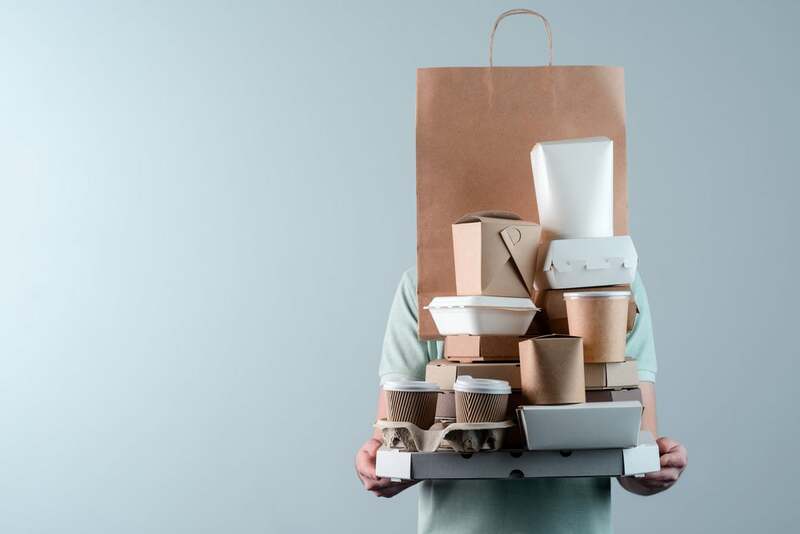 You could be munching on food, extra meanwhile. They really do a great job of cleaning and drying the individual shower areas after each guest. I was there last week. It is a superb lounge but I also agree with Javaid that it is crowded with line ups. Not sure why you are reviewing it now since it is closing in 2 months when the entire airport operations move to the new airport. It would be nice if you could review the new one as I am sure it is going to be probably the best in the world. 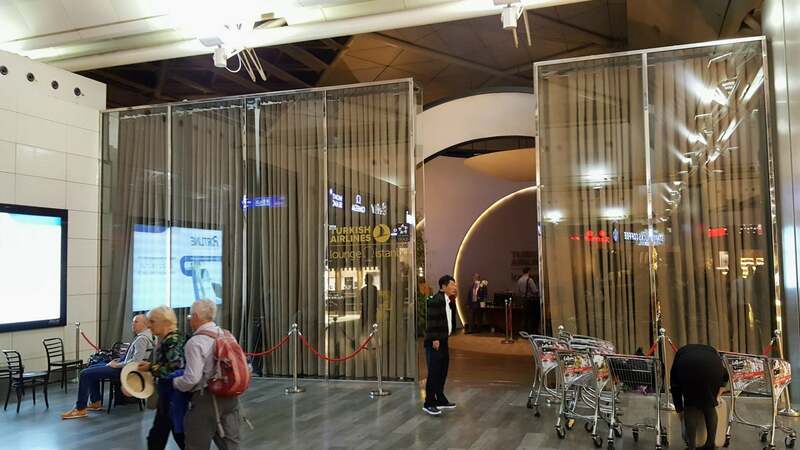 I flew out of the New Istanbul airport on the second day of scheduled service last year. They’ve only been operating five daily flights. It’s a bit odd you would be publishing this article in mid-February 2019 knowing that Istanbul Ataturk is scheduled to be closed in less than a month… and you mention nothing at all about the New Istanbul airport.